In the third season of the hit HBO original series based on the bestselling book series A Song of Ice and Fire by George R.R. Martin. 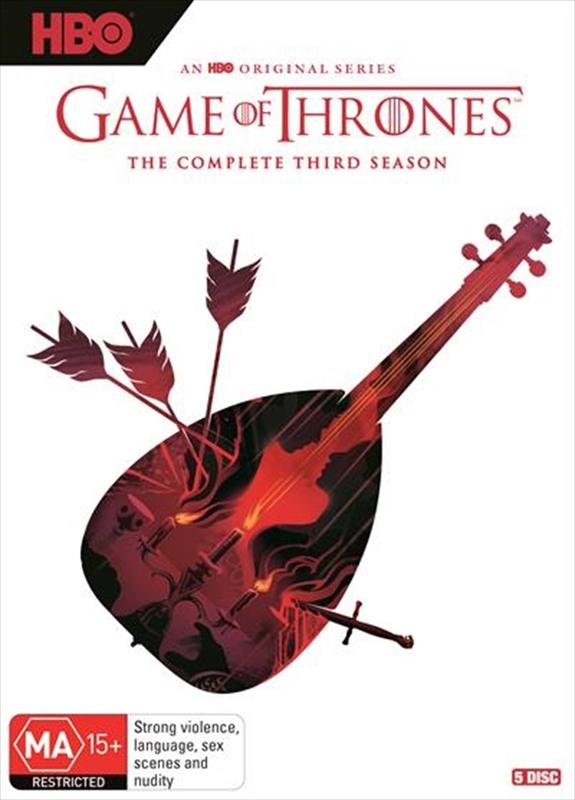 This epic drama is set in the grounded fantasy continent of Westeros, where ambitious men and women of both honor and ill-repute live in a land where summers and winters can last years. In Season 3, family and loyalty will be the overarching themes, and many critical plot points from the first two seasons will come to a violent head, with several major characters meeting cruel fates. While a primary focus continues to be on Kings Landing, where the Lannisters barely held onto power after a savage naval onslaught from Stannis Baratheon, stirrings in the North threaten to alter the overall balance of power in Westeros. Robb Stark, King of the North, will face a major calamity in his efforts to build on his victories over the Lannisters in Season 2, while further north, Mance Rayder (new character) and his huge army of wildlings begin an inexorable march south to scale the Wall. Across the Narrow Sea, Daenerys Targaryen reunited with her three deadly, fast-maturing dragons attempts to raise an army of slaves to sail with her from Essos to Westeros, in hopes of eventually overthrowing the Iron Throne.